Both my mother and father passed away in the same room. Different times, but the same room – Their bedroom. This space holds deeper meaning than I ever imagined. What was once a “forest” of activity & loving, where we laughed together, slept in her arms, hugged him, felt the sting of their punishment, witness the weight of papers, greeting cards, memories fill the space, is now decomposed to… what? 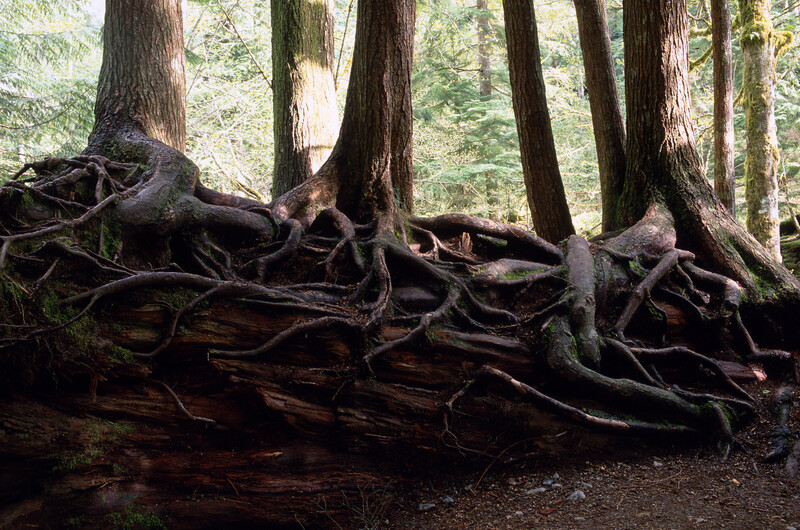 I am reminded of an image that a creative & wonderful soul named Ellen shared with me: “Nurse Log – a fallen tree which, as it decays, provides ecological facilitation to seedlings. Broader definitions include providing shade or support to other plants. Some advantages a nurse log offers to a seedling are: water, disease protection, nutrients, andsunlight. Recent research into soil pathogens suggest that in some forest communities, pathogens hostile to a particular tree species appear to gather in the vicinity of that species, and to a degree inhibit seedling growth.